Let the drinks flow as freely as the mighty Mississippi! Let your ticket sales soar and your bartenders and patrons relax! 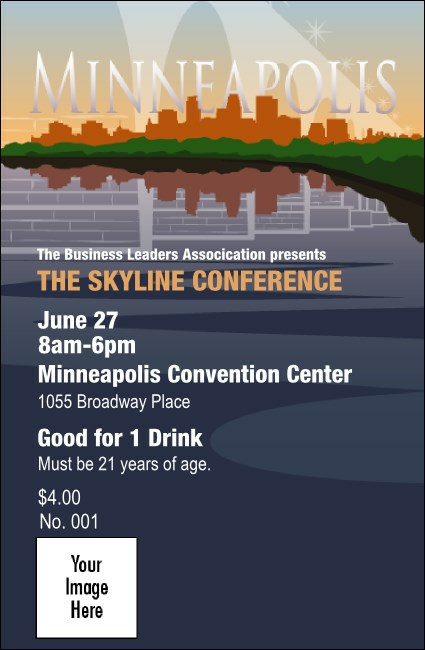 The Minneapolis Drink Ticket helps you sell more drinks early, so everyone can breath a sigh of relief and enjoy the party. The ticket features views of the city’s skyline reflected on water. Go with the flow! Take a stroll through the matching designs at TicketPrinting.com and complete the look of your event!